Shhh...the fairies are away. 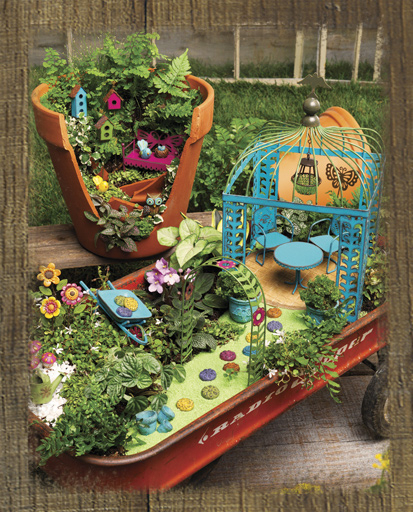 Enjoy the whimsical magic of your very own Fairy Garden Store® Fairy Garden. Whether you are outfitting a whole new living quarters for your favorite fairy - or maybe just redesigning and updating their "pad", the Fairy Garden Store® is your original source for everything fairy gardens! Take your time, stroll our different pathways, and especially shop with confidence. We have built our friendships with our customers because of our award winning service and fast shipping. If you have any questions - chat with our phone counselors. We are here to help you and your fairy outfit their homes with confidence. Enjoy the original Fairy Garden Store®!